While at the HIMSS annual conference this year I spoke with many healthcare technology company leaders. I am pleased to share some of those conversations here. This selection focuses on interoperability, the patient matching technology that undergirds aspects of interoperability, and the benefits of these technologies in the development of tools to manage patient journeys in a manner that engages patients, caregivers and providers as partners in care, advancing the quadruple aim. 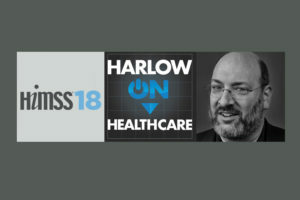 Check out some of my other short takes from HIMSS 2018, too. We spoke a bit about the TEFCA — the interoperability framework proposed by ONC under the 21st Century Cures Act — which is intended to create a framework of trust that will ensure that healthcare records can be transferred and used in creation of longitudinal records for everyone. 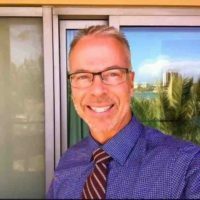 Of course, it seems crazy that the health IT incentives and Meaningful Use didn’t mandate interoperability; and the last few years of health IT development might have gone differently if interoperability were required before the 21st Century Cures Act mandated it and made data blocking illegal, but we are now looking forward, not backward. Scheitlin seemed encouraged by the attention paid to interoperability by the current administration, including the addresses at HIMSS by Seema Verma and Jared Kushner, and noted that key elements promoted by ONC — patient control of records, clinical decision support powered by AI, and open APIs — are likely to improve care by supporting clinicians. Maintaining patient identities across care settings improves the quality of the longitudinal record, with both clinical and payment data, and improving consent management, privacy protections and communications will improve patient buy-in. 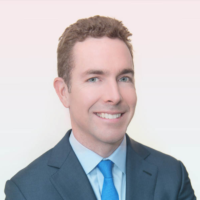 Gregg Church was eager to tell me about his company’s patented patient matching solution, created to address an internal problem 4medica had as it tried to accurately report out clinical lab test results. The tech relies on real-time processing, continually assimilating new data points, instead of the previous generation batch processing. 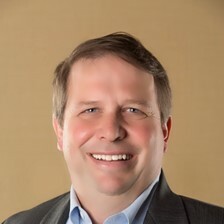 He sees an opportunity not only in connecting providers with different EHR systems serving common patients, but in applying these tools at the statewide HIE level. He shared with me the observation that some state HIEs don’t even know their identity duplication rates. (Clearly, reducing and even eliminating duplication will be tremendously helpful to patients and providers, who experience clinical and financial risk in the absence of accurate matches.) I asked Gregg if he thought biometric identificaiton systems would be a technology of choice once we work through the “backlog” of duplicate patient identities. He thought there would be a number of use cases for such technologies. Finally, one takeaa\way from our conversation is that cell phone numbers are very good proxies for personal identity. In other words, for the most part, a cell phone number is associated with a specific individual over a relatively long period of time — this turns out to be better than home address data in establishing identity. I spoke with Jean Drouin about his company’s focus on re-empowering the 21st century physician-patient relationship by building software that allows hospitals to follow patients in real time, optimizing care and delivering more affordable care throughout the patient care journey by ensuring that patients are connected to their providers in ways that engage the patients best. A personalized care map, accessible to patient, provider, family members and other caregivers, put out there using Clarify’s platform, puts the care team in the position of having made a service promise, like a consumer services provider or a consumer products retailer, and allows the patient to engage in the manner most comfortable for the patient. Human input and platform intelligence lead to alerts going at the time and in the manner most likely to be received appropriately. The patient journey along the care map is now more important as a business matter to healthcare providers that are involved in value-based payment contracting (bundled payments and otherwise). As a result, healthcare providers are now more interested in workflow optimization, in care journey optimization. It is important to be able to make mid-course corrections, to improve quality and to reduce waste, and Clarify can do that using both passive and active monitoroing throgh the patient’s smartphone — including using the patient’s location. In a hospital emergency room? That generates a call from the care team to the ED. In a nursing facility for over N days? That also generates an alert to the the care team, allowing for better care management. While he thinks it may take longer, Jean hopes that five years from now, the goal of delivering delightful care journeys would not be seen as pie-in-the-sky, as the equivalent of having three heads. As he said, technology ultimately needs to provide success (or we won’t keep it around). Specifically, success needs to be about meeting the Quadruple Aim. 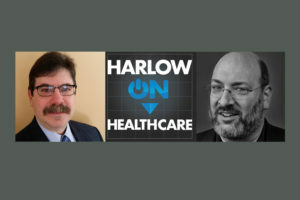 I spoke with Gerard, Gregg and Jean as part of my ongoing series of fireside chats with healthcare innovation leaders – Harlow on Healthcare, on HealthcareNOW Radio. You can catch me live weekdays at 8:30 am, 4:30 pm and 12:30 am ET. As each new show goes live, the last one joins the archive, available via SoundCloud or your favorite podcast app (iTunes, Stitcher, iHeartRadio). Your comments are welcome here. 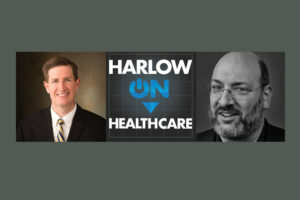 Join the conversation on Twitter at #HarlowOnHC.